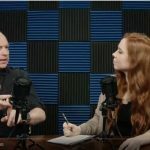 Liberty3D now waives the site’s commission on the sale of Larry’s videos. All proceeds from his video sales now go to support his wife, Camilla. 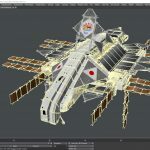 Larry Shultz continues on with more advanced techniques for working with LightWave3D's powerful system for Displacements and Endomorphs in Volume Two of this two part video series. With SplineGod as your guide, he will walk you through the tips, techniques and help you to avoid traps that are common for first time users of the Endomorph technology so that you are up and running in no time making stuff move with textures applied as geometry displacements and morphs! Areas in Modeler and Layout are covered. 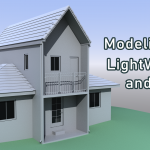 Larry Shultz gets you going with LightWave3D's powerful system for Displacements and Endomorphs in Volume One of this two part video series. With SplineGod as your guide, he will walk you through the tips, techniques and help you to avoid traps that are common for first time users of the Endomorph technology so that you are up and running in no time making stuff move with textures applied as geometry displacements and morphs! Areas in Modeler and Layout are covered. Rigging a quadruped in LightWave3D with Larry Shultz. 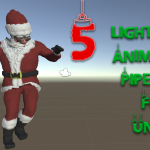 In this video, Larry expands on the basics of character rigging and animation by showing you how to rig a Quadruped (4 legged character) using the standard tools inside of LightWave3D. This video covers the basics but also expands into more intermediate and advanced subjects related to character rigging and animation. 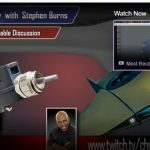 In this video Larry Shultz walks you through the steps of modeling commercial products like shampoo bottles or toothpaste for use in a commercial on TV or a product advertisement. Learn the ins and outs of clean polygonal and spline modeling techniques and then apply them to your projects quickly and easily with this video that is loaded with tips! Larry Shultz is your guide in this video on LightWave3D expressions and the expression system. 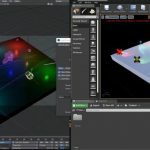 Gain access to functions generally hidden and only accessible via expressions that make LightWave sing with this video! If you are into TD work, then this one is for you, but anyone who uses LightWave, even casually will appreciate the instructional value of this video. Larry Shultz video on Character Rigging in LightWave3D. This video covers how to rig your character using the CA tools in LightWave3D and helps you understand the basics of rigging any character for animation later on, applying these techniques to your own set ups. Heat things up! 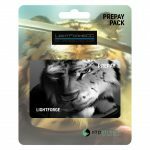 Get Pyro FX Techniques from SplineGod today and start learning how to use geometry and textures to produce fire and lava effects that render quickly and give you all the control you need and more, spicing up your LightWave3D scenes! Larry takes you through the steps and shows you how to set things up fast. This video is a great value at just $19.99USD. Please note that this product is available only as a "Buy it Now" purchase at this time and cannot be combined with other purchases. We thank you for your understanding. Larry Shultz (Splinegod) shows you the ins and outs of Watery FX in Bubbles And Waves for LightWave3D. In this video Larry brings to you techniques for creating Waves in LightWave using animated procedural textures and displacements. Also in this video, learn how to create realistic bubbles and combine the results to produce great water fx. This video is an excellent value at just $19.99USD Please note that this is a "Buy it Now" product and cannot be mixed with any other purchase at this time. Thank you for your understanding.